Cameron Moll is a consummate designer and entrepreneur. 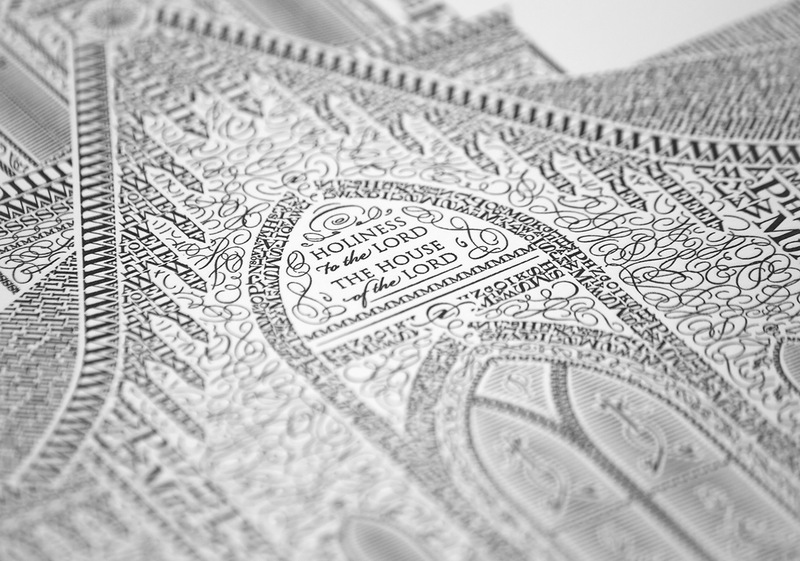 I first came across his work on a typography blog highlighting his first letterpress project of the Salt Lake Temple. 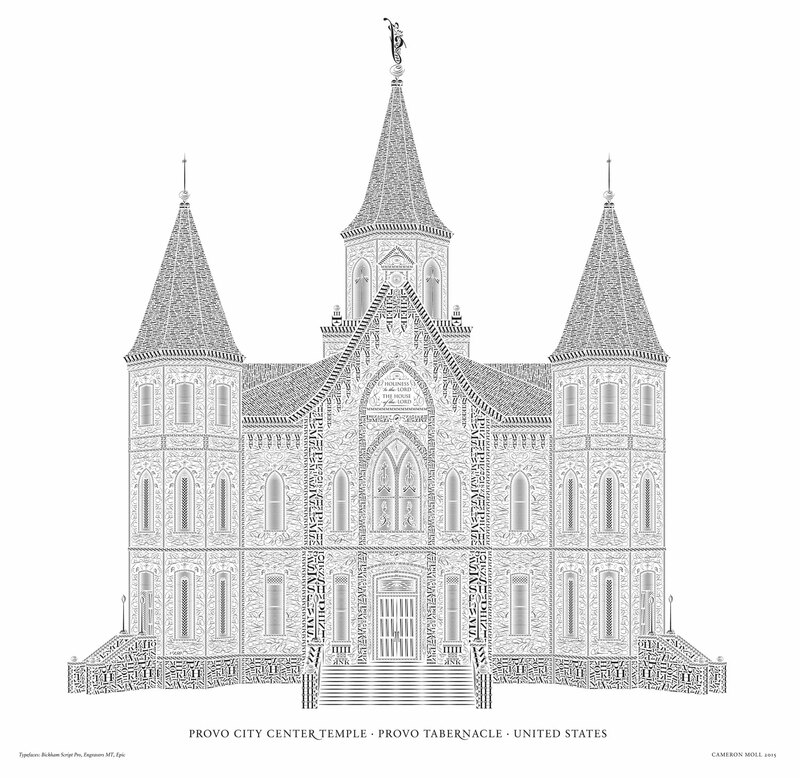 His newest piece is a representation of the new Provo City Center Temple in Provo, Utah. 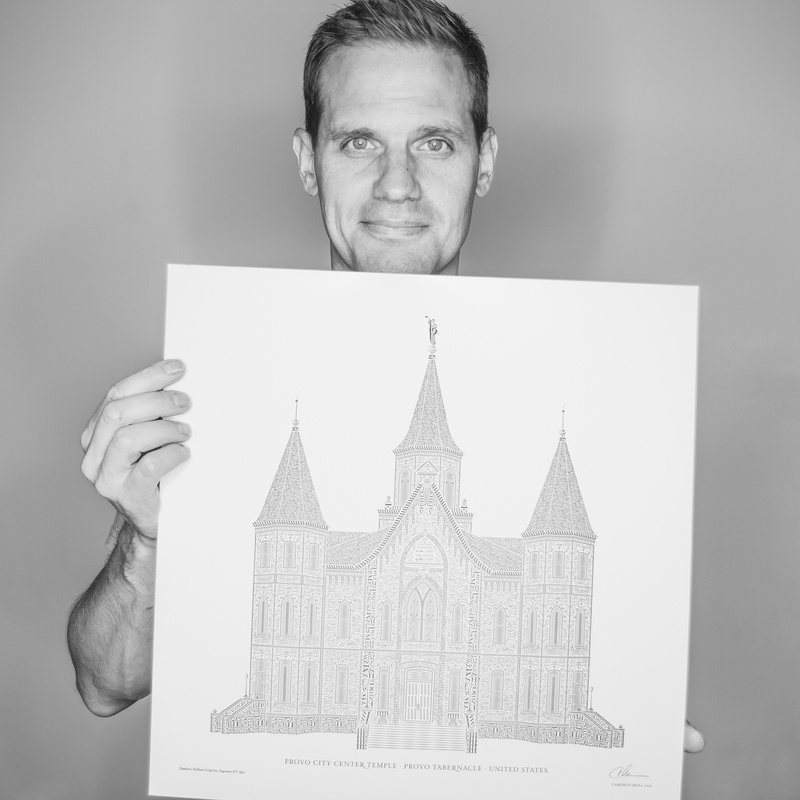 He graduated from BYU with a business degree and worked for a few years in the Church design department. Moll lives with his wife and sons in Florida. 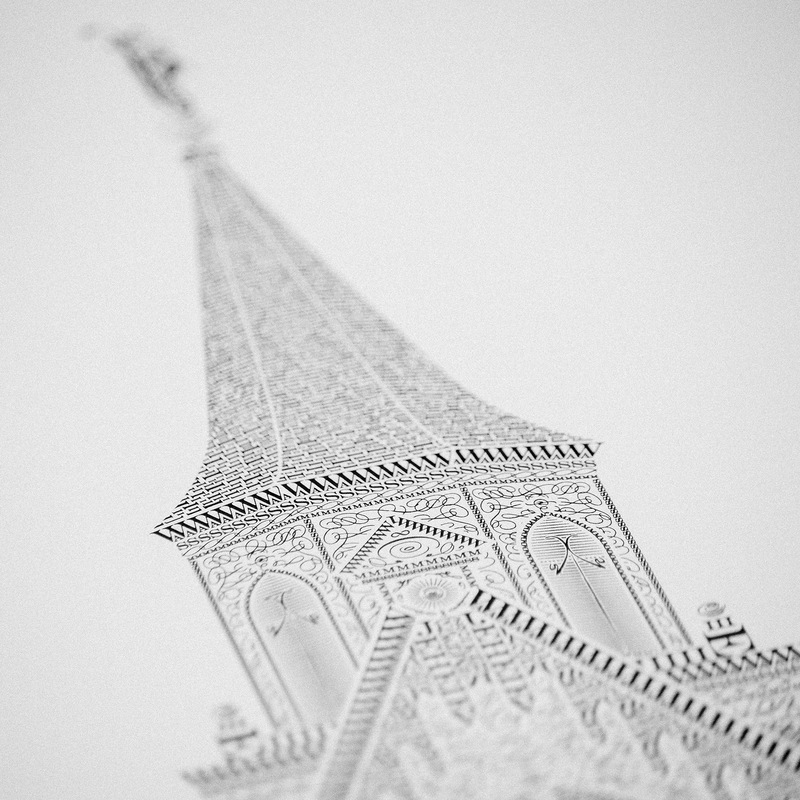 You spent three years working in design for the LDS Church. How would you describe the Church’s evolution with regards to art and design? Tough question to answer as I don’t consider myself an expert in Church art history nor am I an authorized spokesperson, but I think we’ve definitely seen a significant increase in the quality of Church-produced and member-produced material in comparison to their non-Church counterparts. 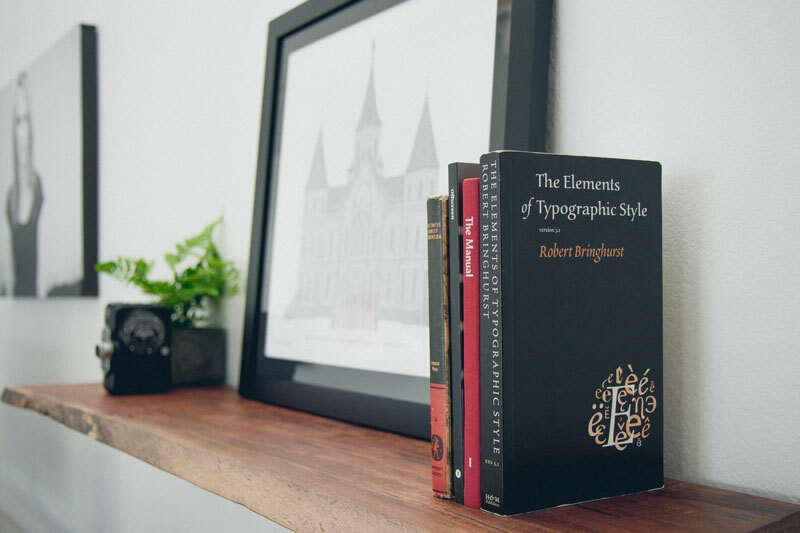 Digital design, print material, film, music… in all of these areas members and even the Church itself are capable of competing with the best of the best, and some of these efforts have gained worldwide recognition. 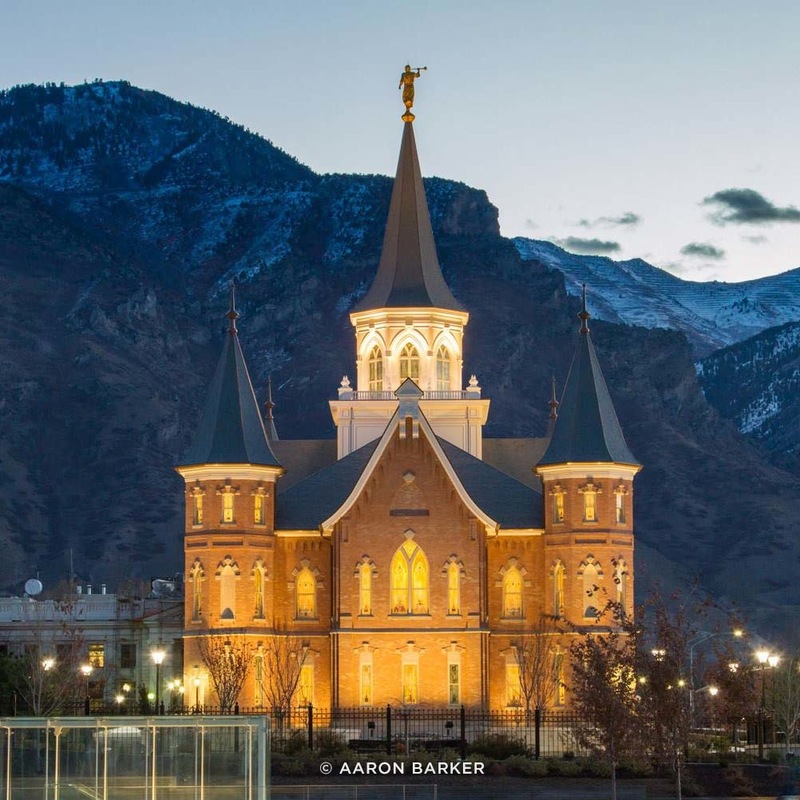 Perhaps the most significant evolution by the Church has been the embrace of technology and social media, and a major push to provide high-quality material for these mediums. I was working for the Church when this was really taking off, and it was fascinating to see the Church shift from its very conservative stance on technology to fully embracing it. You once said, “You can create with any medium and on any canvas.” Where did the idea for your letterpress projects come from? What has been the response? Coincidentally the idea began during my time working for the Church as an interaction designer. We were planning our inaugural annual design review, and I thought it’d be fun to have a poster competition to help advertise the event internally and to stretch our design muscles beyond digital. 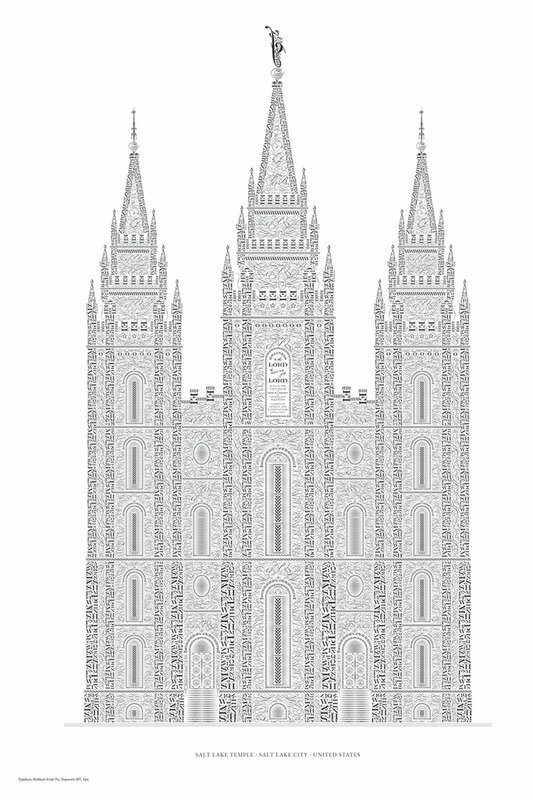 My entry was the Salt Lake Temple rendered entirely with numbers and letters, inspired by a series of postcards of the same style designed by Justin LaFontaine. 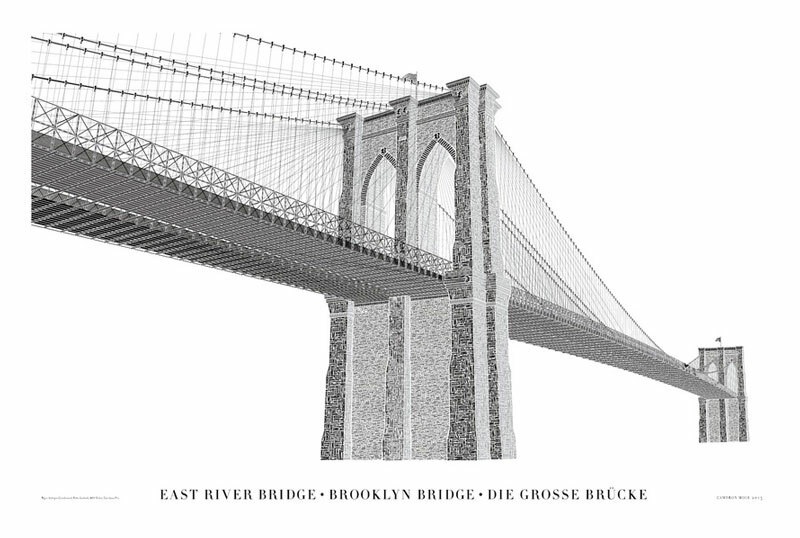 After the event I posted the artwork on my website, and there was considerable interest from my readers in purchasing a copy of it. I contacted Bryce Knudson of Bjorn Press in Provo, Utah to letterpress print the artwork, and the first batch sold out within a few days. Surprisingly, most of the initial buyers were not members of the Church. 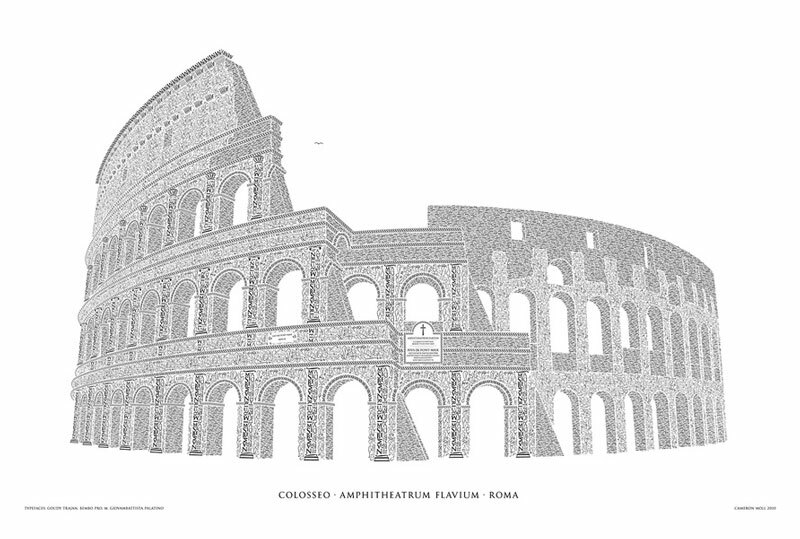 Since then I’ve sold more than a 1,000 copies of Salt Lake Temple poster to buyers in 30+ countries, and I’ve also completed renderings of the Roman Coliseum, Brooklyn Bridge, and my latest piece, the Provo City Center Temple. Purchase Cameron Moll’s Letterpress prints. Follow Cameron Moll on Instagram.